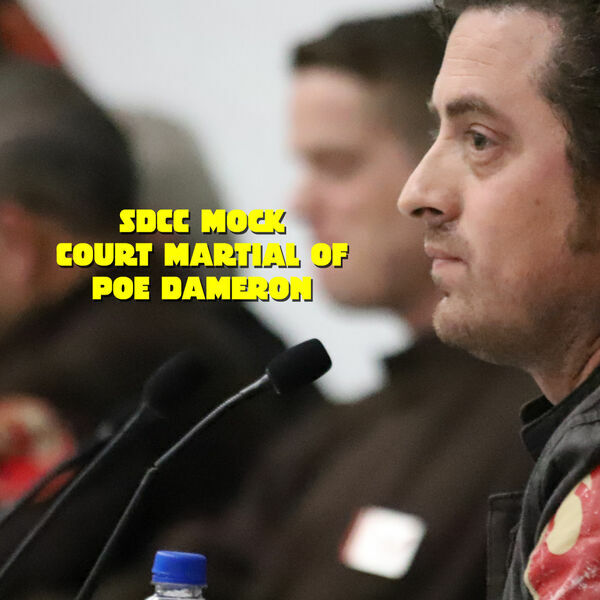 The Legal Geeks and the Rebel Legion Sunrider Base present the mock court-martial of everyone’s favorite X-Wing ace, Poe Dameron. Based on the events of The Last Jedi, Poe stands accused of disobeying General Leia Organa and leading a mutiny aboard the Resistance flagship Raddus against Vice Admiral Amilyn Holdo. Lawyers for the prosecution and defense, including a U.S. Army JAG attorney, will take on Poe’s case in front of United States Magistrate Judge Mitch Dembin. Participating attorneys include Steve Chu, Thomas Harper, Christine Peek, and Megan Hitchcock. Rebel Legion members Rachel Williams will be General Leia Organa and Marcus Holt as Poe Dameron.